A few things have happened recently which got me thinking about comfort zones and learning, potential and achievement. - I took a workshop with Heather Stants, who teaches very contemporary influenced fusion, a style which I find challenging to the point that I had previously concluded it "wasn't for me". - A new student told me that she struggled with footwork and stated that she was slow at learning it. - A prospective student asked if she would be able to perform in future. 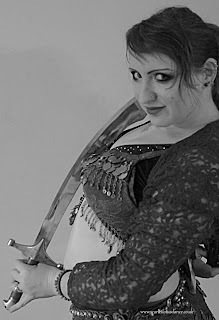 When I started bellydance, one of the reasons I chose this particular form was because I believed that I had two left feet. 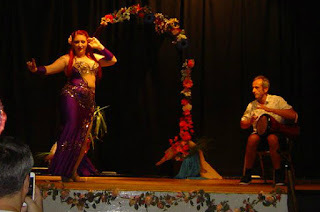 I thought I couldn't handle footwork and I thought that bellydance didn't involve footwork. I was wrong on both these counts. Dancing in Heather's workshop, I was trying to get my head/body around a combination that was all arms and legs and totally outside my comfort zone. I found myself thinking "this is hard", "I'm not good at this sort of thing", "I'm not getting this". Then I mentally slapped myself around the face with a wet fish and told myself to sort it out. What I was experiencing wasn't being unable to do something, it was being unable to do something YET, and we have all experienced that with absolutely everything we can now do and take for granted. Every dance step we know, walking, talking, breathing. Not being able to do something does not mean never being able to do it, and it is not a good enough reason to give up. 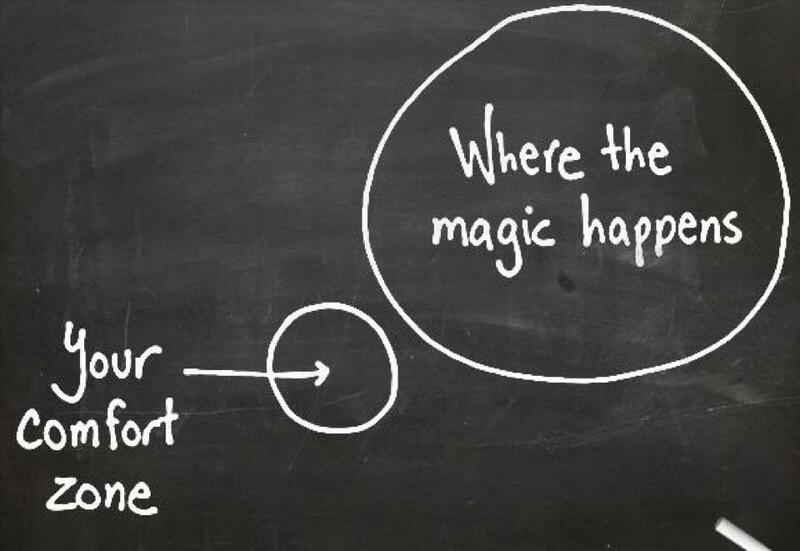 Your comfort zone is not where the good stuff happens. If you are comfortable doing something then you already know how to do it, so you aren't learning, you aren't progressing, you aren't growing. It's OK to be uncomfortable. We live in a privileged world with constant progress towards making our lives easier, more convenient, more comfortable, and I think that sometimes we forget what it means to fight for something, to suffer because we know the reward will be worthwhile. There is not instant gratification for an artist, you have to sweat through the process. Don't be afraid to get uncomfortable, you are safe. It's OK to be frustrated, it's OK to feel like your brain is overloaded, its OK if your muscles are struggling, if you are out of breath. It's all part of the process, this is what really living feels like. The vast majority of my beginning students tell me that they are no good with footwork. I'm not sure why this is the case, perhaps it is because so much of the raqs sharqui vocabulary is so alien to those from a Western background, that they have no preconceptions, or take it for granted that it will be a struggle, but the feet? They assume that you either have it or you don't. I have seen students begin the term falling over their own feet, but in 6-10 weeks, their grapevine, step touch and rocking step is second nature. If you can nail any one of those, you can nail any other step pattern. It's just a question of doing it over and over, slowly until it gets into your body. It will always be hard to start with, it will be automatic by the time you are done. Just don't give up before you get there. The answer to the potential student's question is yes. You will be able to perform in time, if you put the work in. It may well be a couple of years, and I know that is daunting. When I first started out, I remember reading somewhere on Bhuz that one can expect to be at beginner level for around 2 years. A beginner? For 2 whole years? That seems like a long time when you have been dancing for 2 whole months! Well, time has flown and the more I dance, the more like a beginner I feel, and that's a good thing because it is merely an indicator of the immense amount of amazing dance experiences there are out there for the taking. I do push my students, I am fairly unapologetic about it too! I won't throw them in the deep end (although I might encourage them to try the water just so they know how it feels), and I won't ask them to do anything they don't have the technical foundation to attempt safely. But I'm definitely not going to let them come back week after week dancing the same old material without testing their boundaries and trying new things. It's my responsibility as a facilitator of their dance journey to give them opportunities to test their limits and grow to meet their personal potential. Naturally, I have to set the example by trying new styles, techniques and concepts. And when the going gets tough, I'll grit my teeth and get stuck in. I'm packing to go to Infusion Emporium at the moment (well, I'm procrastinating packing by writing a blog). It's a bit of a mammoth task because I have to have everything I need for attending workshops, being a bit fancy for the theatre show (by fancy I really mean, "not in sweaty leggings") travelling and staying overnight - Oh and because I love my students I am driving back early on Monday for my Glastonbury classes, so I need everything for that too. But the biggest obstacle is that I also need everything for performing at the Glitterball Shakedown. When I do a performance, and often if I am teaching a hen party class or suchlike, I take my hallowed gig bag. It's a carry on size suitcase which has literally everything I could ever need in it. I carefully pack it beforehand, and "reset" it afterwards. Some of the contents is changeable, like costumes, props etc, and some of it is consistent. I always have 2 packs of these, because the hairgrip pixies steal them at a frightening speed. Anyone who has hairgrips knows about the hairgrip pixies, they will take 80% of your stash every time you look away. Don't Blink. If you buy in bulk, they just get lost faster, I have tried. So my rule is that I buy small packs, and there must be one in my dresser and 2 in my gig bag, all at least half full. I carry 2 packs because one will be standard grips and the other heavy duty/wig grips, which can take the strain of pinning hairpieces, rats and bulky accessories. My Minirig is one of my favourite things ever, no exaggeration. It's a speaker about the size of a large mug of tea, which is rechargable and surprisingly loud. Loud enough to teach with, on high gain you can get enough sound to perform with, even outdoors. Not super noisy, but enough. I have a 500W tailgate speaker which is louder, but it's about the same size as my gig bag, and I'm only going to double my luggage if I absolutely have to. Even if I know my venue has a sound system, it is no trouble at all to carry the Minirig and that means that if there is an issue with sound, I can still teach/perform. I go absolutely nowhere without my MP3 player. It has *all* my dance music on and specific playlists for particular lessons, moods and performance sets. Used hairgrips, safety pins (essential for securing costumes and last minute fixes), hairbands. Anything small and vital goes in my tin. 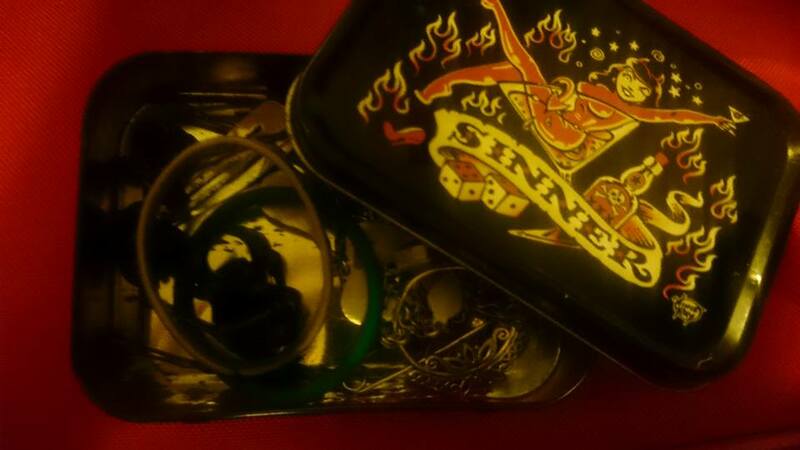 My tin of gubbins, essential kit. 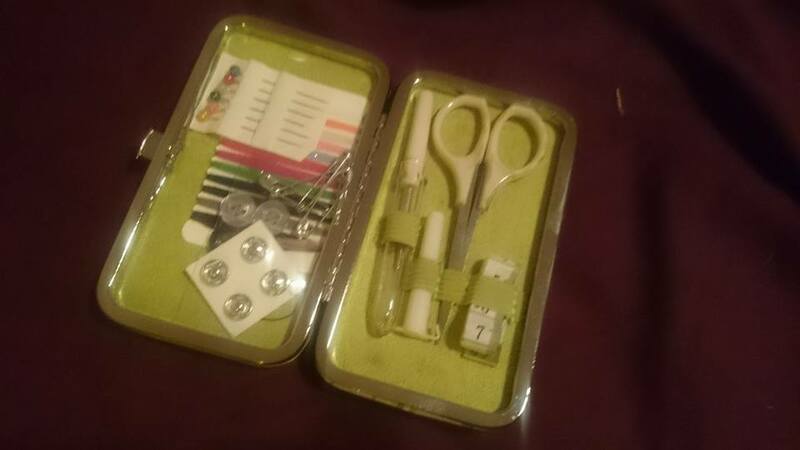 This little repair kit came from my local craft shop. It's important to be able to fix costumes on the go because a loose hook can be the difference between a servicable costume and having nothing to wear, or worse, a costume malfunction! The scissors are also great for trimming lashes. In case I happen to forget to pack the appropriate underpinnings for the particular costume (Shira has a great article on this), I always carry a pair of black and a pair of fleshtone "invisible" knickers (seamfree, but I like to call them that because I never get tired of saying "I can't find my invisible knickers"), which between them will work for most costumes. I also carry a normal pair because I was raised to be prepared. I also carry a pair of Capezio dance tights in my bag all the time, and a fleshtone, sleeved bellystocking, both are transferable to almost any costume if need be. Body glitter, travel size hairspray, hairbrush, versatile red lipstick. These are necessities, so they stay in there. Also a spare shake and go wig, because nobody needs a hairmergency. I always have a spare pair of eyelashes, just in case. Eyelash glue suffers in the same way as hairgrips. It's small and the pixies steal it. I use latex free eyelash glue, which isn't commonly available, so I buy lots of little bottles and secrete them in handy places (no use buying a large bottle, it dries up). Eyelash glue isn't just for eyelashes, I use a lot of little gems in my makeup and it's useful for wayward wig lace. Having spare glue is essential if any of the cornucopia of stuff stuck to my face comes loose. In case of emergency. Ibuprofen and paracetamol (for headaches or injuries), Tiger Balm and sanitary protection. More often than not I am lending this stuff to other dancers in need! Amazing all around for everything. You can wipe down the surface in the dressing room, before or after use. You can wipe the floor dirt off your feet, a smudge of hummus off your costume, take your make up off with them, all sorts of things. Because there is nothing worse when you have somewhere to get to than finding yourself in a car park with no meter money... in costume. You never know where a networking opportunity might come up, so I try to keep a stock of class flyers and business cards on hand. One of the best ways to improve your dance is to video yourself and watch it critically. I do this in practice, but where I can, I try to do it for performances too, because sometimes stuff comes out under pressure. I carry a small video camera and a tabletop tripod for that purpose. So all those things are a given, I might need them in most situations. I also have room in my bag for the items that are specific to a gig. So if I am teaching a burlesque party, I will have half a case full of feather boas, spare gloves, party favours etc. If I am doing a bellydance performance I have space for 2 complete costumes (providing only one of them is a bulky one) and a cover up, plus shoes, hairpieces etc. Everyone's essentials are going to be different, and it has evolved over time as I have learned what I can do without and what I wished I had packed. 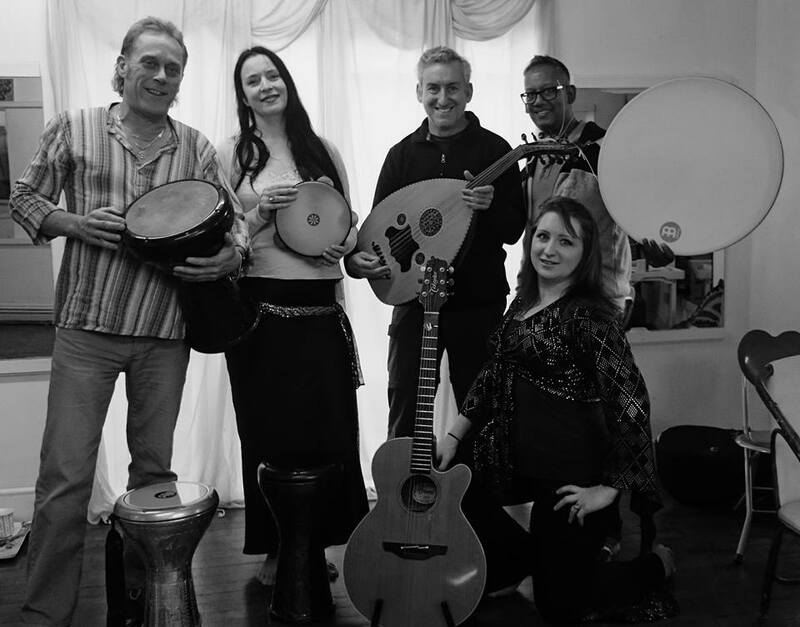 When you are performing, whether at a show, restaurant or a hafla, it is usual to provide some kind of bio or introduction for your performance. For many dancers this is a struggle. Firstly because not all dancers are writers and secondly because many of us feel awkward about talking about ourselves. But never fear, I am here to help! It's a fair question, why not just let your dance speak for itself? Well, some events do that, but if you are dancing in a show with an MC, they will want to say something. What they say will prime your audience for your performance, and you want your introduction to be an appropriate representation of you and your dancing. If you don't provide an introduction they might just announce you by name (will they use the right one, will they pronounce it right?) or they might add all kinds of things, snippets from your website, something your said to informally describe your dance over email - who knows? You might know the MC well and feel you can leave it in their hands, and if you are comfortable with that, then it's all cool, but that's not always going to be the case. It's entirely possible that if you do submit a bio, they will edit it to fit in with the other introductions, or add to it regardless, but at least you had a hand in it! Another thing to consider is that your introduction is a venue-wide networking opportunity. Are you a teacher with classes or workshops to promote? Are you a solo dancer who is looking for potential troupemates? Let them know. So what goes in an introduction? You need to include your name, you might start with it, or end with it, or put it somewhere in the middle, but it's important. If your name might be mispronounced, put a phonetic breakdown in brackets too. I have an Arabic surname, but in my case it comes from a family line that came to the West several generations ago and use Western pronunciation. I get many variations if I don't let people know my preference. You probably want to include something about your background, where you come from, if you teach or are part of a group, if you are a student performer then it is good to credit your teacher. If you are a newer dancer and this is your first solo, or even if it's not, you can let people know. Hafla audiences tend to be super supportive of new blood! What are you dancing? What's the style? What's the music? I can take or leave this bit, depending on the audience. In an audience of other dancers, it might not be worthy of mention, if your audience is less well-versed, then maybe a brief explanation of the origins of the style will help them. Next part is about context, what are your inspirations for this piece. Did attending a workshop with a particular teacher heavily influence this dance? A life event? Did the music just move you? More generally where do you get inspiration? What dancers do you love to watch? Did you come back from a Middle Eastern holiday bursting with ideas? Again, any dancer/musician/location names that the MC might struggle with will need a phonetic breakdown. Credits. Did someone else write your choreography? Then you must credit them. If you learned it in a workshop then adapted it, make that clear - it's their intellectual property. If you are a group but one member wrote most of the choreography, credit them. It is also good to credit any teacher, or otherwise, who helped you prepare for the performance. You might also want to credit music editors or anything of that ilk, but don't turn it into an oscar speech. More than one of you? If you are dancing with others, you need to introduce all of you. With a live drummer, they will have their own bio to run alongside yours. This can make things a bit lengthy so if I am dancing more than once, I will have my full bio for my solo, but the "duet" introduction will focus on the drummer. 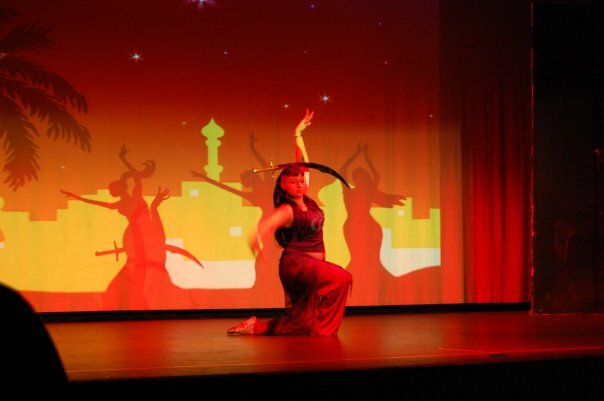 If you are in a troupe, you can include information about how the troupe came together, who leads the group etc. If there are more than 2/3 of you, there probably won't be time to include much detail about the individuals, so focus on what you have in common. What shouldn't go in the introductions? Long introductions. The audience doesn't need to know every teacher you ever studied with, your education history and what you had for breakfast. Keep it interesting, relevant and brief. Some shows are notorious for long introductions - I can think of one in particular where I know I can reliably scroll through the first full minute of video before any dancing happens - but most of the time people just want to see you dance. Instructions for the audience. OK, so this might be a very personal bugbear, but I really dislike being told how to react to a dancer. If I am told that I will be AMAZED by a performance, my inner contrary teenager sits back, folds her arms and says "come on then 'amaze' me". Of course the more sensible and supportive dancer tells her to shut up and engages with the performance, but it is worth considering that if you tell your audience to expect something spectacular, you have to deliver. 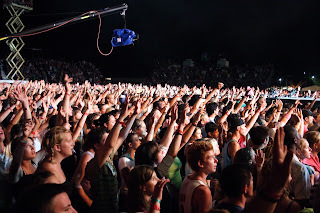 How the audience reacts is their choice. As an artist you can only present your piece, what they do with it is not your responsibility. That's especially important to remember when you have a tough crowd. Instead of telling them that they "will be moved" by your dance, tell them what inspired you, and let them take the performance in context and experience it for themselves. It's always good to have something unique to you, a little quip or whatever reflects your personality. Watch out for cliches, there is no point in the MC reading out the same phrases for every dancer! Our next dancer has travelled all the way from [hometown] to be here. He has studied under [teacher] for 3 years and this is his very first solo piece. Inspired by a his recent visit to Egypt and the work of Mahmoud Reda. Please welcome [name]. [Name] and [Name] have been dancing together for 4 years after meeting at [dance festival]. [Dancer 1] teaches weekly Rasq Sharqui classes in her hometown [place], she has recently travelled to [place] to train with [teacher]. [Dancer 2] is based in [town] and is the troupe director of [troupe]. Today they are dancing to [song name] which is a song about [subject] from [location]. These are focussed on a hafla-type venue. 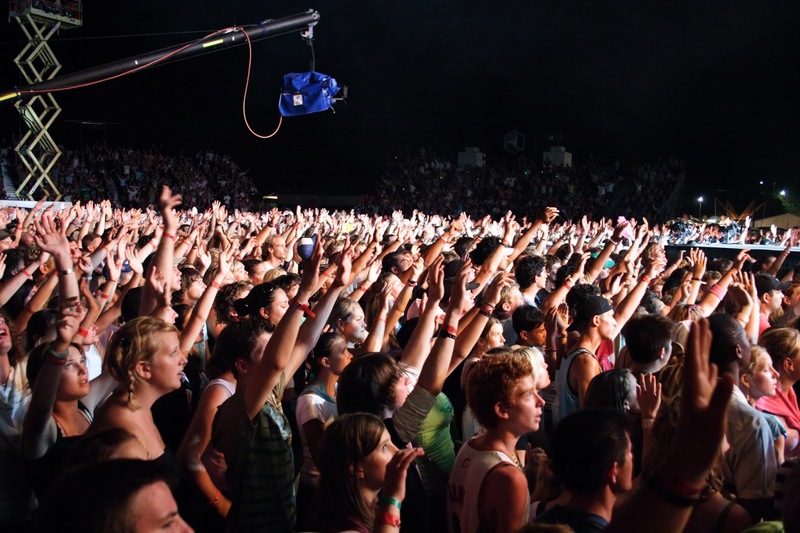 If you are performing in another context, you will have to think about what references your audience will understand, and what they will relate to. What's the point? Why fitness is about more than skinny jeans. I've been thinking recently about fitness, conditioning and our motivation for working at it. I cross train, alongside my dance for a host of reasons, and I have noticed that almost almost all of the fitness classes or DVDs on the market have weightloss or aesthetics as a primary focus. 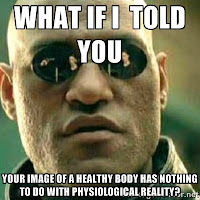 That is to say, they are not marketed based on what your body can do, but what it looks like. My favoured source of non-dance centred conditioning is Jillian Michaels, who does talk a lot about health, feeling strong, getting fit etc, but also spends a lot of time shouting about how we will feel when we get to go skinny jeans or bikini shopping. I know how I will feel incidentally, sweaty and awkward. Even though I no longer feel awkward (there's no escaping the sweaty) while completely owning her workouts. Recently, when I was part way through writing this post [which has been sat as a draft for a week...] an aspiring professional dancer posted on a social media group for professional performers, asking about their fitness regimes. At the end of her question, she put a little caveat, that was along the lines of "please don't think I'm being shallow, this isn't about looks, it's about improving my dance". While a commercial dancer will find her job opportunities limited by her looks, and there is absolutely nothing wrong with working to optimise that, if she chooses. The fact that she felt pressured to explain, to a group of dancers, that fitness was important to her in terms of her physical ability to dance, is very telling. 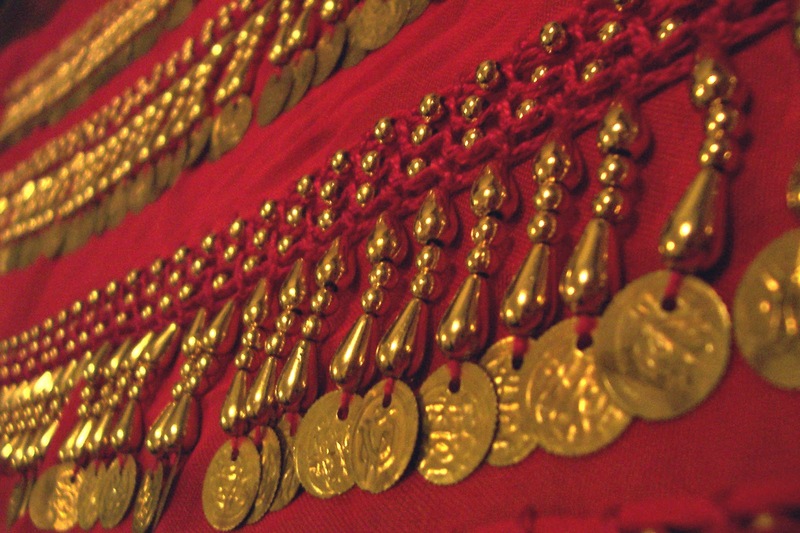 What does a bellydancer's body need? I've been working on classes that I want to offer and how to market them. I really want to do a class that is purely conditioning and basic drills. Nothing fancy, just the solid foundations, the stuff that Zoe Jakes calls "dance vegetables". I wanted to call it "body for bellydance", but then I realised that this would likely be interpreted as being slim with a flat, but not too muscular belly that would be considered widely socially acceptable in a skimpy stereotypical 2 piece costume. I am not the postergirl for this concept. You can have these at a size 6 or a size 26, but no one gets it without training. Measuring progress in conditioning should never be about chasing unicorns. Training goals need to be achievable. If they are not, then we give up. If my motivation for conditioning was centred around my dress size I know that I would never stay motivated on a tough regime. In the last 6 months of intensive dancing and conditioning, my dress size has remained stable while the factors that really matter have come on in leaps and bounds. They also need to be positive. Any goal that shames your current state is a poor goal. To care for your body you need to believe that it is worth caring for - too many weight loss orientated goals ignore this. At best it leads to apathy or self sabotage, why bother when you are worth so little? At it's worst it leads to unhealthy regimes, overexercising and dieting to the detriment of your health. What does fitness look like? Wears a sports bra and hot pants. Very lovely she is too, but if this is the only acceptable look for a fit and healthy woman, then I, along with the vast majority of people, am not it. Why is this important? Well, if this is what we are aiming for, most of us won't get there. Not being stupid, most of us will realise this and give up feeling bad about ourselves, losing all the benefits of a good fitness regime. A few months back I discovered this project, a startling quick reference that demonstrates that a fit body does not have to fit the fitness model stereotype. Athletes at the top of their game, men and women selected not for their look, but for their accomplishments, for the superior physical function of their bodies. Take a careful look through all the images on the link. Even among top athletes, there is an enormous variety in body shape, size and composition. Even between individuals competing in the same field. Most have low body fat and high muscle mass, but we see tall, short, broad shoulders, slight shoulders, slender legs and powerful bulky thighs. Fitness doesn't have a single look, so why are we pretending that becoming fit will make us look a certain way? I'm really heartened to see increasing visibility for diversity in fitness.Yoga teachers coming forward and breaking stereotypes, dancers showing us that you don't need to fit the ballerina aesthetic to excel in as an artist. 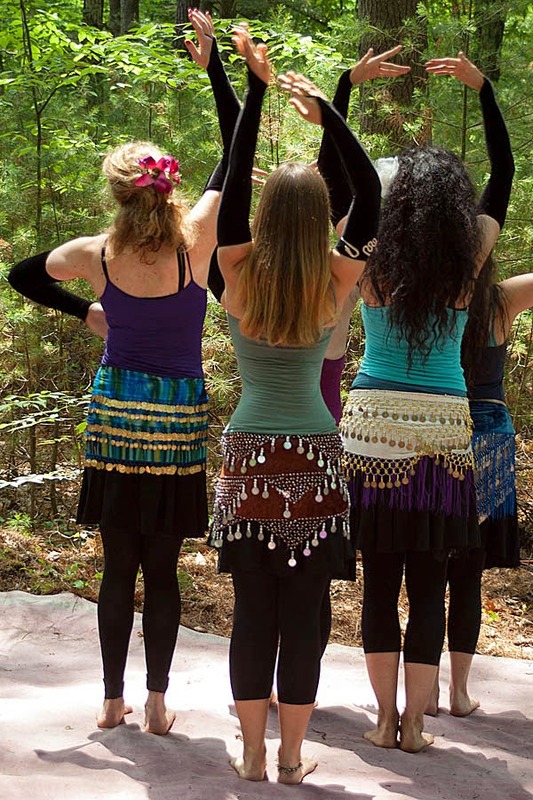 In the bellydance world, Bellydance at Any Size seeks more acceptance for diversity in our danceform, because everybody deserves to dance. So why do I work out? I love the effortless leg lifts and arabesques that come from hours of pilates. I love how squatting down to pick something off the floor isn't a big deal. I love throwing a 20kg feed bag over my shoulder and confusing the pet store owner. I love being able to dance a 10 minute drum solo without pausing. I really love the strong feeling when I move and I know my muscles are working, but it doesn't feel like a struggle. I love the endorphin rush and satisfaction when I have got through a tough workout. I love how the strength in my leg muscles means I get less joint pain. I am proud of how I can now actually do burpees - hate them still, but I can do them! Our understanding of how build and body composition relate to health is improving all the time. We don't have all the answers, but what we do know is that being active keeps you healthy. So let's focus on keeping our bodies healthy, not a particular shape. PS - have you bought your hafla and workshop tickets yet?